We’re in the midst of summer, which means I spend a lot of my evenings performing magic at company summer parties. 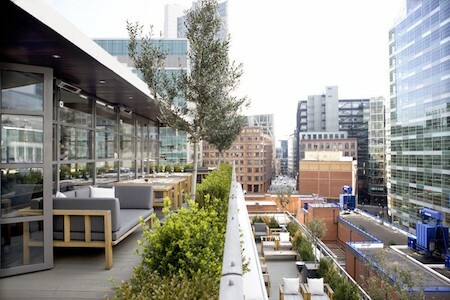 As a result, I’m lucky enough to see some of the best rooftop bars in London and there are some new surprises every year. 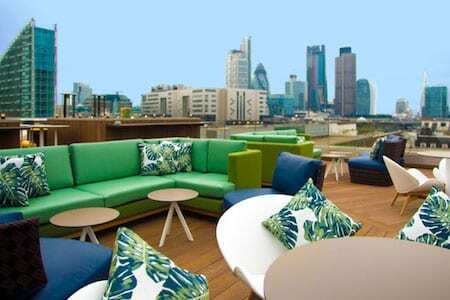 Here are a few of my favourite picks of London’s rooftop bars as inspiration for your next summer team event. St Paul’s Cathedral looms over the Sky Bar at Grange St Paul’s, a rooftop bar in the heart of the city. With comfy chairs, plenty of space and exceptional views of the city skyline, this is an ideal venue for your corporate summer event. There’s also a covered conservatory area if the weather doesn’t quite work out how you hoped it would. The glass lift on the way up to the top is a fun ride too! I discovered Aviary recently while performing at a company summer party. 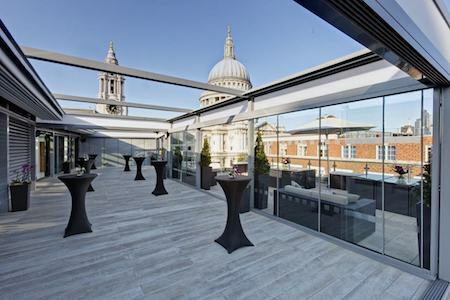 High up on the roof of the Montcalm Royal, there’s an excellent panorama of London’s city. Don’t look down over Finsbury Square if you’re afraid of heights though! 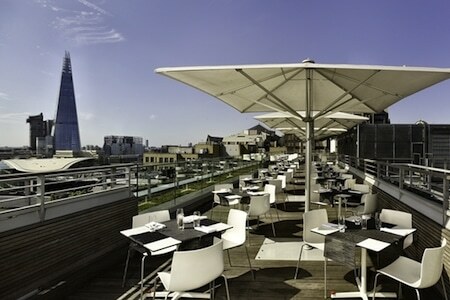 Adjoining the roof terrace bar is a restaurant serving breakfast, lunch and dinner. Eight Club is a private members’ club with two locations in the city, both available for private hire for corporate events. 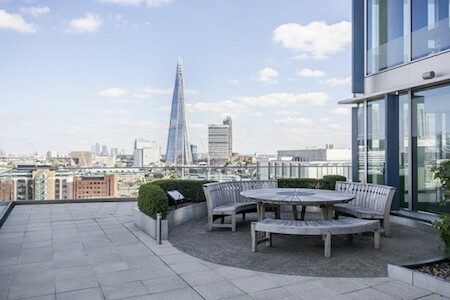 I’ve worked at the Moorgate venue a couple of times – there are two adjacent floors with outdoor terraces to enjoy summer drinks with your colleagues or clients. Moving South of the river, The iconic Blue Fin building on Southwark Street has multiple spaces on its spacious roof for both small and large events. There are benches and grass areas, with 360 degree panoramic views across the whole of London. Recommended. Toy Roof a great hidden spot right in the heart of Soho. 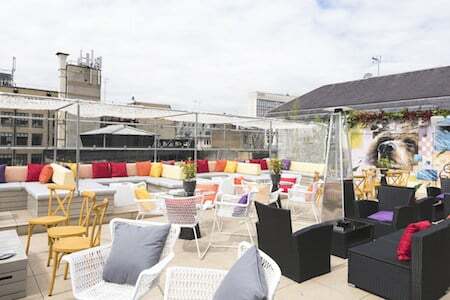 A fairly small roof terrace, the views are not spectacular like some of the others on this list, but it’s in a great location and has a good vibe if you want to escape the crowds of the surrounding Oxford and Regent Streets. 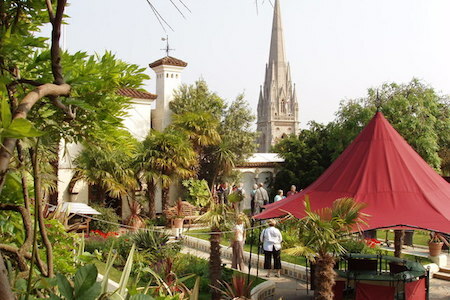 A list of London rooftop bars wouldn’t be complete without a mention of The Roof Gardens in High Street Kensington. They have Pink Flamingoes! What more could you want? I’ve worked numerous events here from weddings to huge corporate events. There’s a good capacity with a large indoor space and restaurant surrounded by lush gardens. And Pink Flamingoes – did I mention those? High on top of the Doubletree Hilton Tower Bridge, the Sky Lounge is another great spot if you want brilliant views of London’s city. 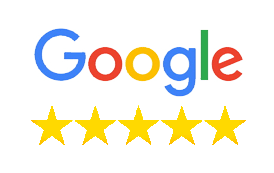 Since I was last there I read that it’s been completely refurbished – worth checking out!